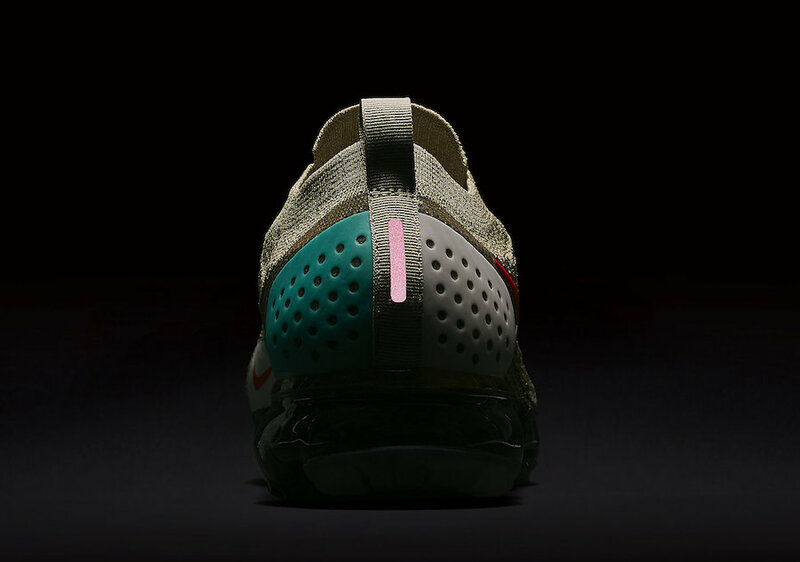 To release along side the Air VaporMax Moc 2 “Sail”, Nike expands their laceless iteration of the updated Air VaporMax with several new color ways for Spring 2018. 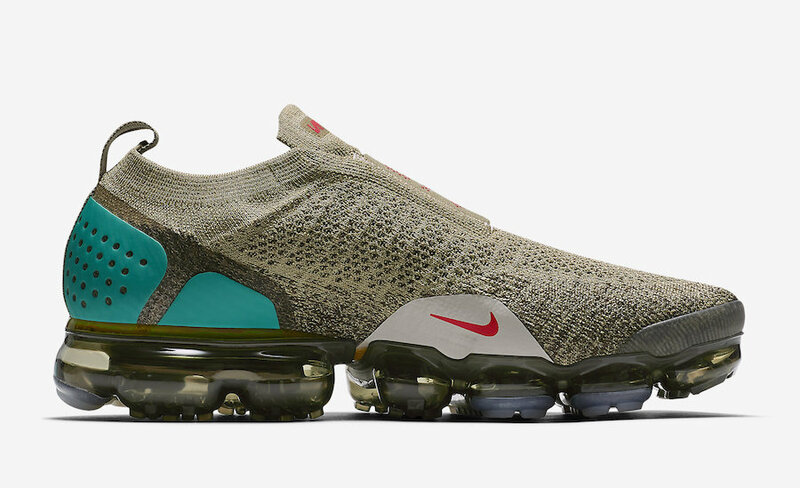 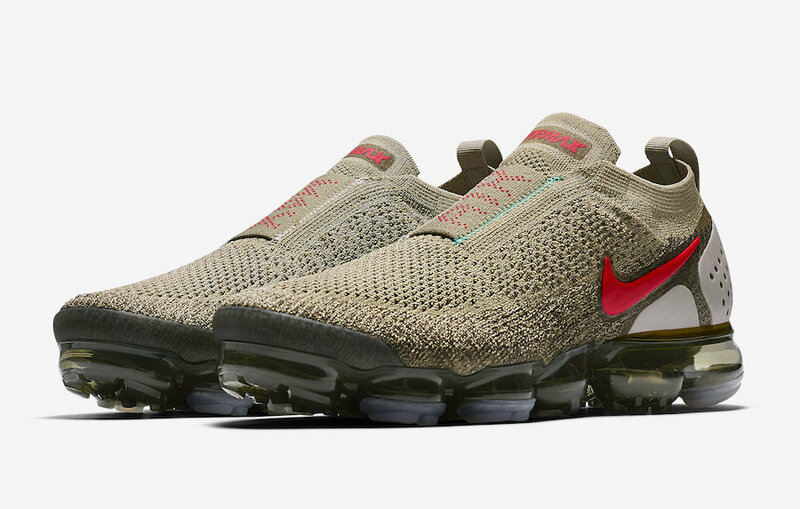 This Nike Air VaporMax features an Olive Green Flyknit upper with Habanero Red highlights on the swoosh, Vapormax branding, and tongue. 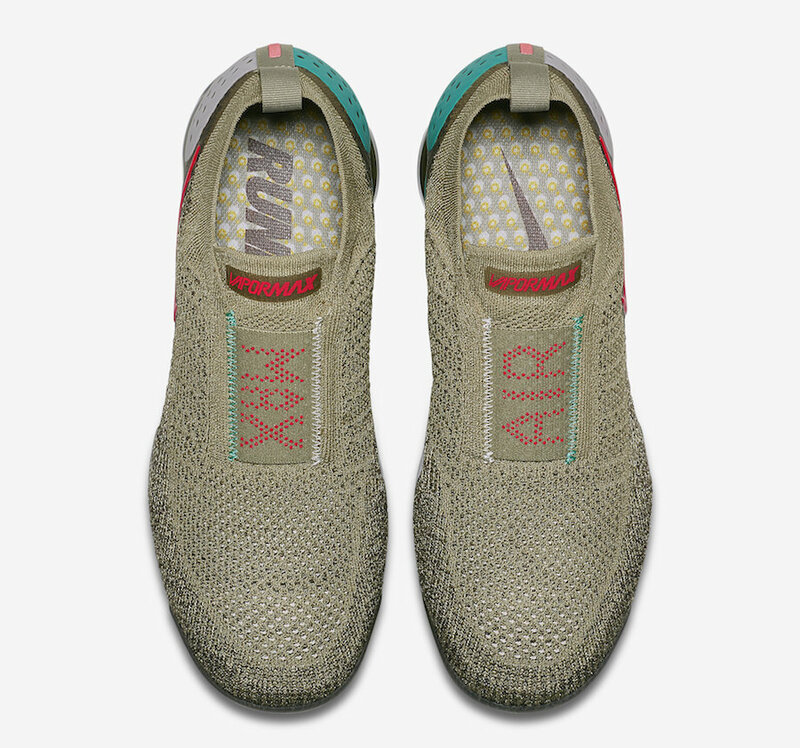 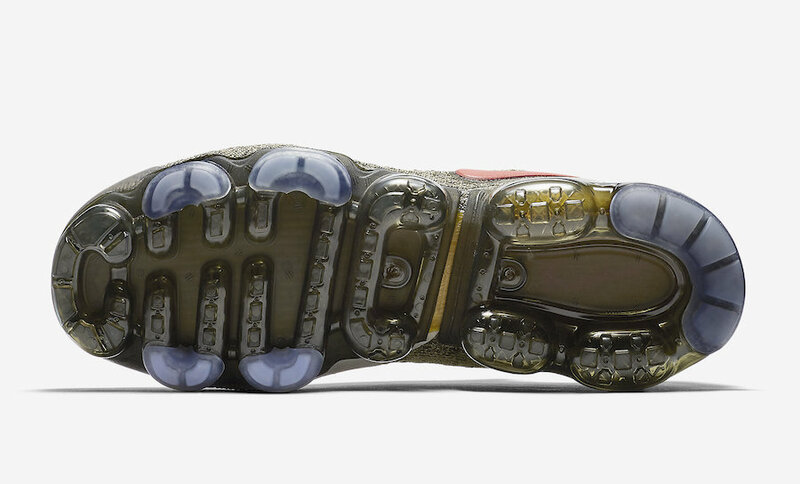 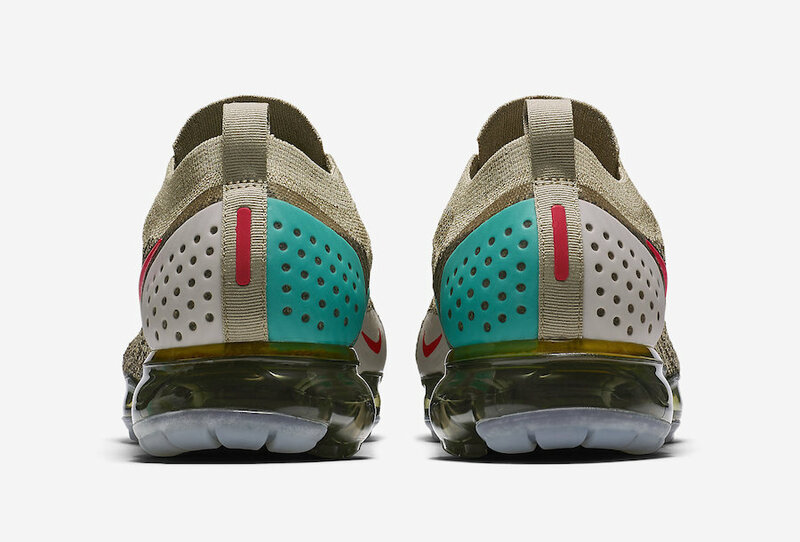 A Teal heel clip is seen on the medial side of the shoe along with 3M Reflective detailing on the heel all atop a VaporMax sole. 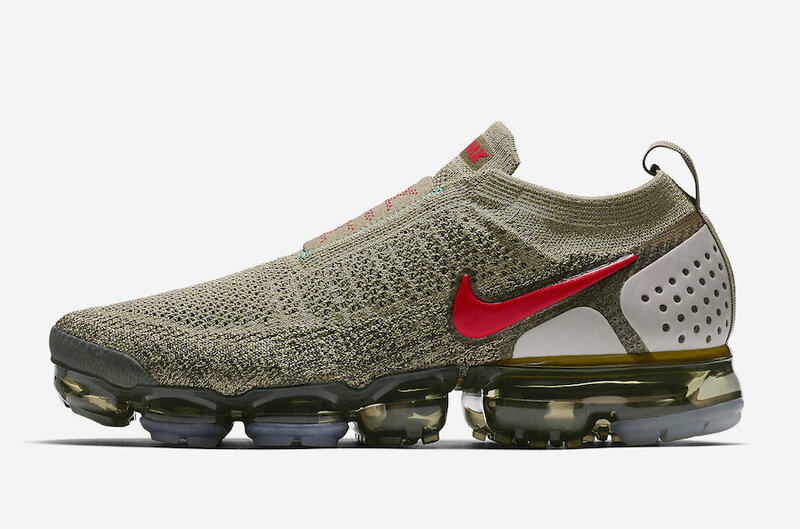 The Nike Air VaporMax Moc 2 “Neutral Olive” is set to release on April 13th at select Nike Sportswear retailers and Nike.com with the retail price tag of $200 USD.